Justin Amler, Australian writer and commentator on Israel studies gave interview to Eurasia Diary regarding Israel-Azerbaijan diplomatic relations. Eurasia Dairy: From your opinion, what are main areas of bilateral cooperation between Israel and Azerbaijan? Justin Amler: The main areas are in the oil and security industries. In terms of energy resources, Israel gets something like 40% of its oil from Azerbaijan making Azerbaijan Israel’s largest oil supplier, while Israel is also a major supplier of weapons to Azerbaijan, responsible for modernizing the Azerbaijani army. Moreover, there has also been increased trade and cooperation in other areas such as telecommunications and technology, with major Israeli companies investing in Azerbaijan since about the mid-1990s when Azerbaijan liberalized its economy. They are also partners in agriculture, mobile technology and the sciences. Eurasia Diary: From point of your view, what is an important element of public diplomacy in bilateral relations between two countries? Justin Amler: As an independent journalist I can’t speak for the Israeli government, but I would just say that while Azerbaijan and Israel are already strong and committed strategic partners, they are also close partners in business, particularly technology where they both share visions of innovation. Another important element is that they both share similar societal traits in terms of their tolerance and deep devotion to multiculturalism. A definite deep and mutual respect exists between the two countries. Eurasia Diary: What is your opinion about development of relations of Azerbaijan with Israel in military sphere? Justin Amler: Both countries work together in terms of security cooperation and fighting terrorism. An example of this was when in 2008, the security authorities in Azerbaijan managed to foil a bomb plat against the Israeli embassy in Baku by two Hezbollah terrorists. They also foiled a bomb plot against the British embassy. Also, as mentioned above, Israel is a major supplier of advanced weapons technology to Azerbaijan. This is something that is only set to grow to the benefit of both countries. 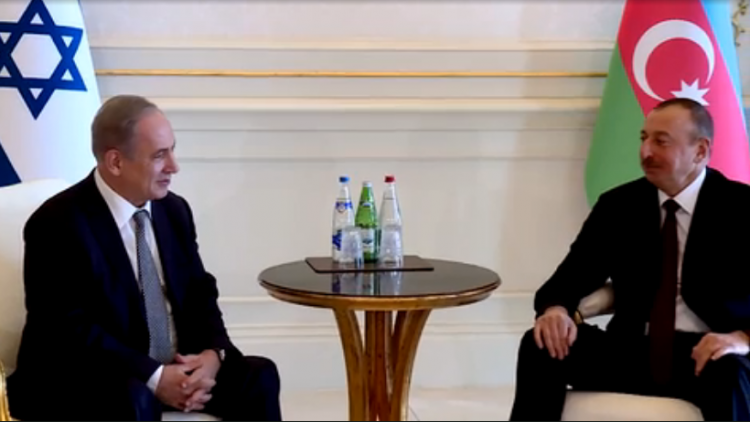 Eurasia Diary: Israel-Azerbaijan inter-parliamentary friendship group has been acting positively in the development of diplomatic relations between two countries. In your opinion, are citizens of Azerbaijan and Israel be ready to operate together under one group in various fields- such as science, education, technology and culture? Justin Amler: Absolutely. Azerbaijan has a highly educated and skilled workforce, as does Israel. There have already been joint ventures as early as 1994 when the Bakcell, company was formed, as a joint venture between the Ministry of Communication of Azerbaijan and GTIB, as Israeli company. It covers something like 99% of the population. So countries are not only ready to operate together, they have already been doing it for some time. In December last year Prime Minister Netanyahu, on an official visit to Azerbaijan, signed a batch of economic agreements between the two countries, including cooperation in the fields of science, technology, health, agriculture and trade. There is also a strong inter-parliamentary friendship group, and last year a group of Azerbaijani MPs visited the Israeli Knesset in an official three day visit, ensuring an ever-growing and mutually beneficial relationship exists. Eurasia Diary: You know very well that Armenian armed forces have occupied 20 % of territory of Azerbaijan-Nagorno-Karabakh and seven surrounding regions. More than one million person have become refugees and internally displaced people for 23 years. What is political position of Israel in the settlement of Armenian-Azerbaijan Nagorno-Karabakh conflict? Justin Amler: While Israel maintains diplomatic relations with both Azerbaijan and Armenia, it goes without saying that Israel and Azerbaijan are very close strategic partners. Israel is also a nation that believes in territorial integrity. Eurasia Diary: Some members of European parliament visit unrecognized republics. You know that European parliament is international body that recognize and support territorial integrity of all countries. For instance, members of European parliament have strong position in Crimea issue, but we do not see this in Karabakh conflict. As some European parliamentarians recently visited Azerbaijan`s Karabakh region to observe “referendum” there. Experts regard this position as double standards. What is your opinion about this? Justin Amler: Well, the European Parliament is on record supporting Azerbaijani territorial integrity, but double standards and hypocrisy have always been a part of the European Union’s attitudes to many things. In the Israeli-Palestinian conflict, for example, they often accuse Israel of taking over land in the areas of Judea and Samaria (also known as the West Bank); however a report in 2015 found that the European Union was funding unauthorized building of Palestinian structures in areas under Israeli jurisdiction. This is illegal under international law.